So, you discovered Discourse and want to know how to migrate from your existing phpBB3 forum? Great! Then keep on reading. This guide will show you how to use the phpBB3 import script for importing from phpBB 3.0.x and 3.1.x. Importing from phpBB 3.2 is currently not supported. This is the recommended way for importing content from your phpBB3 forum into Discourse. Change the database host, port, username, password and schema if you want to connect to a remote database. Make sure that your MySQL server allows remote connections. 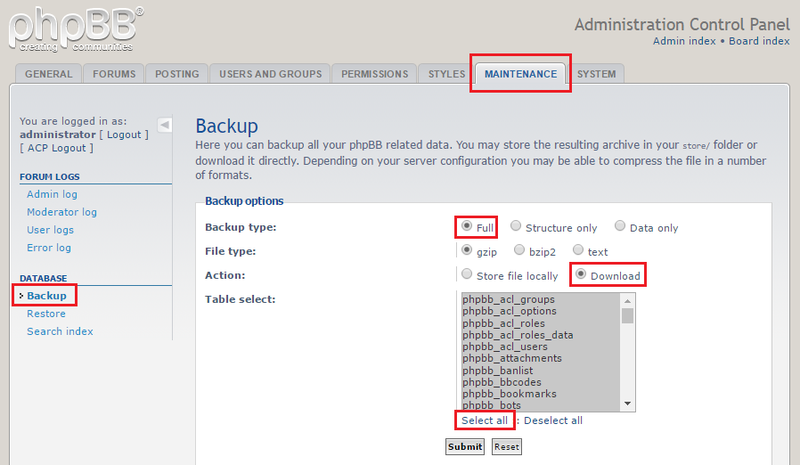 Change the table_prefix in case your phpBB forum isn’t using the default naming for database tables. You can skip this step if you don’t want to import attachments, avatars or smilies. Attachments are usually stored in the files directory. You can make sure by checking the path in the Administration Control Panel. 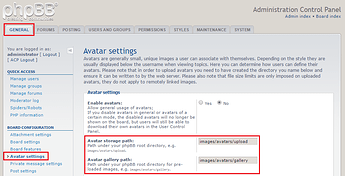 Avatars are usually stored in the images/avatars directory. You can make sure by checking the path in the Administration Control Panel. Smilies are stored in the images/smilies directory. Tip: It’s a good idea to start the import inside a tmux or screen session so that you can reconnect to the session in case of SSH connection loss. And while you are waiting for the import to finish you can take a look at the FAQ. The following instructions are for users who want to import using a development environment. Setup your development environment by following the guides for Ubuntu or Mac OS X. The following instructions assume that you are using Ubuntu. Make sure that neither Discourse nor Sidekiq are running. Wait until the import is done. You can restart it if it slows down to a crawl. Feel free to start your favorite Ruby IDE and help making the importer even better. 4.1. I have a heavily modified forum. Will the import script still work? Maybe. It depends on what changes those mods made to the database. You’ll have to give it a try. 4.2. Why is the import process so slow? Importing is CPU-bound. You should use CPUs with fast single-core speed if you are in a hurry. You get an import speed of about 400–600 posts/minute on a typical DigitalOcean server. Bare metal servers, and probably also your desktop computer, are usually about twice as fast. 4.3. I have a large forum with lots of users and posts. How can I minimize the downtime during the import? You can do incremental imports in order to shorten the downtime. But be warned: There’s a small risk of data loss when you do an incremental import, because existing posts and users aren’t updated during incremental imports. You’ll lose post edits that occurred between imports as well as changes made to user profiles. 4.4. Can I run the Docker based import on my desktop computer or a staging server? Of course. You can move your Discourse instance to a different server after the import has finished. Take a look at this How-To for instructions. 4.5. Does the script send any emails during the import? Sending of emails is disabled during the import and Discourse holds off on sending summary emails to imported users for some time. This can be configured with the site setting default_email_digest_frequency which defaults to 7 days. 4.6. Which version of Discourse should I use for importing? It is recommended to always use the tests-passed or beta channel of Discourse for imports since the import script is being constantly improved. So, make sure that the value of version is set accordingly in the app.yml and import.yml configuration files. Everything should be fine if you followed the official installation guide. 4.7. I enabled the import of passwords. Why can't my users login with their old passwords? 4.8. The import was successful, but the user list is empty. What is wrong? The list of users won’t show up right away. It is generated by a background task which is executed by Sidekiq. You’ll probably have to wait until all the post-processing of the imported data is finished. 4.9. I have custom smilies in my forum. Are they imported? Yes. You can map them to Emojis in the settings file, otherwise they’ll get imported as images. All the default smilies (except and ) already have an Emoji mapping. Post your Discourse T-shirt pics! I’ve been stuck on the nested quote issue for a long time. As discourse handles the [quote] syntax the same way it uses >, I tried just to add a new line before and after each [quote] tags. I deactivated the bbcode_to_md function to be sure that the importer doesn’t touch the [quote] tags. But it simply removed all the quotes from the import. They say you have to use double quotes " in order to create actual new lines, and double backslashes \\ to write a regex group content. Do I need to do the same in text_processor.rb ? Ah, yeah, that gets ugly really fast with all the escaping. I’ve updated my answer above. Your suggestion did the trick. Thousand thanks to you. The imported passwords are probably too short. 4.7. I enabled the import of passwords. Why can’t my users login with their old passwords? Did you migrate to phpBB3 from a different forum software some time in the past? post_username shouldn’t have a value unless it was posted by an anonymous user. This problem has come up a few times, so I’d like to add a workaround to the import script. Could you help me by looking up a few things in the database? What’s the value of phpbb_posts.poster_id for the post you’ve shown in the screenshot? What’s the value of phpbb_users.user_type for that user (phpbb_users.user_id = phpbb_posts.poster_id)? If you want to fix the problem right now, take a look at the following post. The solution will probably work for you as well. Would that work or are other things going on behind the scenes which would become inconsistent? That will most likely work, but you’ll have to try it out to know for sure. Hi there, first of all thanks a lot for this thread, and for Discourse itself, it’s a great tool! I’m running a phpBB forum (version 3.2.0) and I’m looking into migrating it to Discourse. The initial post of this thread states that “Importing from phpBB 3.2 is not supported”. I wanted to know if there is any plan regarding support for this phpBB version? Or if there’s any hint/advice I could use to migrate my content to Discourse. I’m not aware of an easy way to get the import script working again for version 3.2. You’d need to write a conversion from XML to Markdown. I’d really love to add support for the latest phpBB version, but it could take a while until I find some spare time. Thanks for the reply, I see! I’ll look into what I can do and let you know if I have valuable bits to share. Yes it fix definitively our issue ! Hello, I tried the import step by step and I have this error when I run the importer. 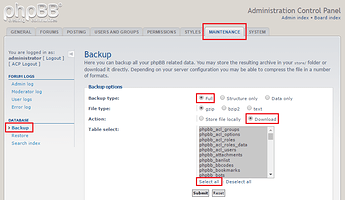 # This is an example settings file for the phpBB3 importer. batch_size: 1000 # Don't change this unless you know what you're doing. The default (1000) should work just fine. # WARNING: Do not activate this option unless you know what you are doing. # It will probably break the BBCode to Markdown conversion and slows down your import. 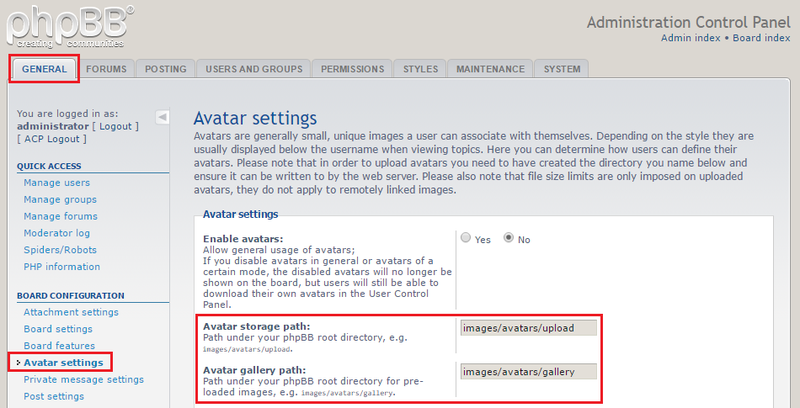 # This is the path to the root directory of your current phpBB installation (or a copy of it). # The importer expects to find the /files and /images directories within the base directory. # You need to change this to something like /var/www/phpbb if you are not using the Docker based importer. # This is only needed if you want to import avatars, attachments or custom smilies. # Enable this, if you want to redirect old forum links to the the new locations. remote: false   # WARNING: This can considerably slow down your import. It will try to download remote avatars. # When true: Anonymous users are imported as suspended users. They can't login and have no email address. # When false: The system user will be used for all anonymous users. # Enable this, if you want import password hashes in order to use the "migratepassword" plugin. # This will allow users to login with their current password. # By default all the following things get imported. You can disable them by setting them to false. # the mappings here, if you don't like some of them. Can you try connecting to mysql using the mysql -uroot command? Do you have any information on how we may migrate an existing phpBB 3.2.0 forum to Discourse? If not, do you know if/when an option may be available? If not, do you know if/when an option may be available? Not until someone decides to do it for themselves, hires someone to do it, or a discourse.org customer wants it. My Discourse Migration page describes imports in general. If you have a budget and want an estimate, I’d need to see a significant sample of what raw posts look like now to determine what would be involved to convert them from whatever they look like into something that Discourse can handle. Add me to the 3.2 -> Discourse waiting list pile.